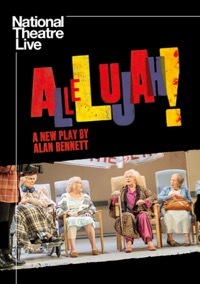 NATIONAL THEATRE LIVE - ALLELUJAH! Allelujah! is a brand new play from one of Britain’s best-loved writers Alan Bennett. His celebrated plays include The History Boys, The Lady in the Van and The Madness of George III. This hilarious drama was filmed live during its limited run at the Bridge Theatre in London. The play takes place in The Beth, a small hospital in England serving a small town in Yorkshire. The hospital, part of the UK’s free National Health Service (NHS), is threatened with closure as part of a money-saving drive by the government. A documentary crew, eager to capture its fight for survival, follows the daily struggles at the hospital and the triumphs of the old people’s choir.